Whether you're a large established organisation or a small developing enterprise, the Chamber provides you with the essential services designed to help your business grow. Your membership package includes over 20 free services, with more discounted benefits available exclusively to you. Increase your profile through Chamber's networking events, media publications and PR opportunities. Chamber members have access to a wide range of essential support to protect your business, reduce costs and save money. Increase your knowledge and stay ahead of the competition with the Chamber's 'expert-led' business seminars and staff training. Ensure your voice is heard locally and internationally through the Chamber's independent lobbying through the accredited British Chambers of Commerce network, which represents over 100,000 businesses throughout the UK. The Chamber provides a range of opportunities designed to help you promote and develop your business to members. The Chamber will connect you to local businesses, help you forge new alliances, gain trusted suppliers and find potential new customers. Through membership of the Chamber you can promote your business locally and nationally through a variety of media and PR opportunities. To complement the Chamber HR online service, members can also access a 24/7 telephone advice line to talk to qualified employment law advisors. This free service provides expert advice to your team. The annual ‘BCC Chamber Awards’ provide you with a prestigious opportunity to showcase your business at a regional and national level. The awards are open exclusively to accredited Chamber Members. Chamber members have exclusive use of the Chamber logo providing a unique third party endorsement for your business. 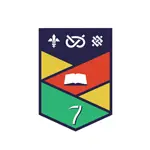 The logo is available from the membership team and terms and conditions apply. The Chamber’s Export Documentation Service produces certification of export documents including Certificates of Origin, EUR1s and ATRs. North Staffordshire Chamber is an accredited agent for the Arab British Chambers of Commerce. The Chamber has developed a strong online and social media presence. The Chamber’s Twitter feeds can be found at @StaffsChambers and @StaffordChamber. Members can also interact through Facebook, LinkedIn and on the Chamber website. Focus Magazine is the official business publication of the Chamber. It is produced in print and online format, with a circulation of nearly 15,000. Focus magazine regularly offers members an ideal opportunity to promote their achievements and business news. The Chamber hosts over 200 events each year including speed networking, informal networking, social events and seminars. Chamber members can post their 'hot deals', events and member to member offers on the Chamber website. A bespoke service to ensure you are able to comply with auto-enrollment pension requirements. 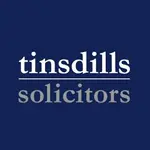 Provides protection against late payment and insolvency – two of the most commonly cited causes of long-term damage to business growth, irrecoverable damage to businesses, unable to recover uninsured losses. Our partner provider, Euler Hermes, has extensive knowledge of companies, sectors and economic trends – everything you need to know about your customers, your potential customers, and your marketplace to grow with confidence. The Chamber Health Plan, provided by Westfield Health, offers an effective employee healthcare solution. The plan provides money back towards everyday health costs, supporting early diagnosis as well as access to health related services, including 24/7 telephone support and face-to-face counselling sessions. AXA PPP Healthcare enables members and their staff to access affordable private medical insurance. As a Chamber member, you have access to free personal business assistance and ‘Health at Hand’, a 24/7 helpline manned by medical professionals. AA Roadside Assistance provides discounted breakdown cover for you and your staff. The service provides a simple solution to all your business and employee vehicle needs. Our quarterly Focus Magazine, will feature a Profile Plus Members Page per edition with each Profile Plus member allocated 2 features per year. Opportunity to talk for a 5 min slot at one of our following events: speed networking, potential member event or maximising your membership event. Through its patronage, Keele University is pleased to have been able to partner with Staffordshire Chambers of Commerce for more than 20 years, supporting the development of the local economy, helping local business growth and creating and retaining high-value jobs in the county. I truly believe that FutureFinest is an essential tool for young professionals in Staffordshire to develop into future leaders and it is great to be a part of that. It is important to have a supportive business community within the local area to encourage young professionals. 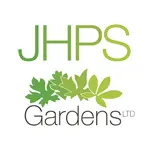 Since becoming a member of the Staffordshire Chambers of Commerce, JHPS Gardens has been able to attend numerous informative and useful events and made lots of connections within local businesses. The additional services provided by the Chambers have also been very useful. Becoming a Patron of the Staffordshire Chambers of Commerce identifies your business as a leading and strategic player in the Staffordshire economy. Providing regular access to key influencers and decision makers in government and other agencies. Patronage ensures that you are well-placed to shape the optimum business environment for you and your customers. Through the Chamber’s extensive networks and communication channels, you can raise the visibility of your brand, products and services. Patrons have priority involvement in our lobbying, representational activities and privileged attendance at key meetings. Including visits to the House of Commons the and the European Parliament, where we hold high-level meetings with European ministers and top civil servants. Our strategic role in the Stoke-on-Trent and Staffordshire Local Enterprise Partnership, ensures that the views and interests of Patrons can be heard in shaping local economic and business priorities. We are the organisation of choice for the media and business-related matters. Enjoy opportunities to promote your brand and increase your profile through our regular communications to Staffordshire businesses. As a Chamber Patron member, your brand is presented alongside ours in our communications to businesses and influencers, at our events and our website. Patrons can also meet, network and trade to mutual advantage at special Patron Lunches throughout the year including events held jointly with Patrons/strategic businesses from across the West Midlands and the wider Chamber network. Through membership with us, Patrons can develop many CSR and supply chain opportunities.